Whenever we go on a vacation, we always look forward to the activities that we will be doing in our destination, like swimming in the beach, exploring the locale or meeting new people! Most of us care less about how our hotel looks like just as long as it is comfortable, because after all, we only stay there to take a rest and sleep. But what if we tell you that there are several hotels in the Philippines that are uniquely themed, making them a destination in themselves? Sounds fun, right? We’ve listed some of them for you! 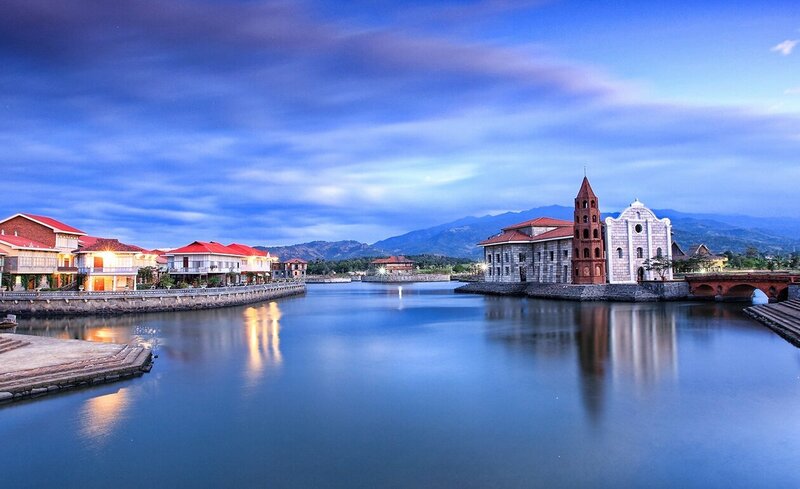 Constructed to document and preserve Filipino architectural heritage and history, Las Casas Filipinas de Acuzar in Bagac, Bataan is an open park and museum that features rebuilt historical houses from across the Philippines. Guests will be given the option to choose from an array of houses dating back to the Spanish colonial period. While a day trip would already be so much fun, nothing beats staying overnight in one of the heritage houses to complete your time-travel experience. Santorini is probably in every backpacker’s bucket list. However, due to the pricey flights and the documentary requirements needed, the idea of travelling to Greece remains as a dream for some travellers. 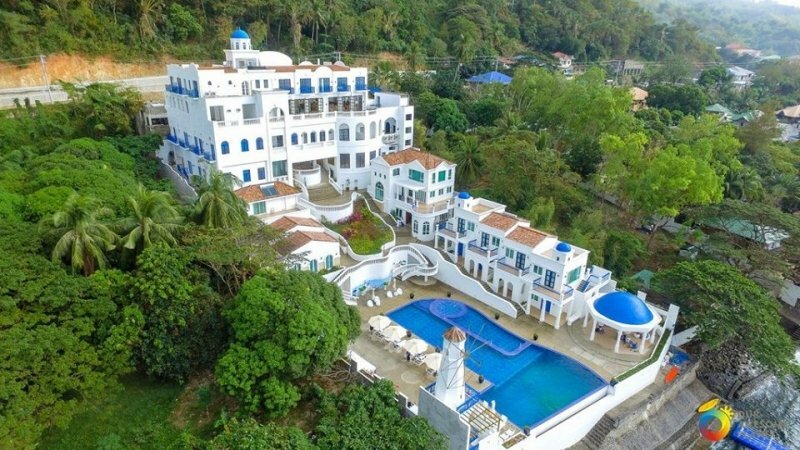 But do you know that there’s a Santorini-inspired resort that is just situated a few hours away from Manila? Yep! Meet Camp Netanya Resort & Spa. The resort features the iconic Santorini houses perched on a downward sloping hill and a Grecian lighthouse. 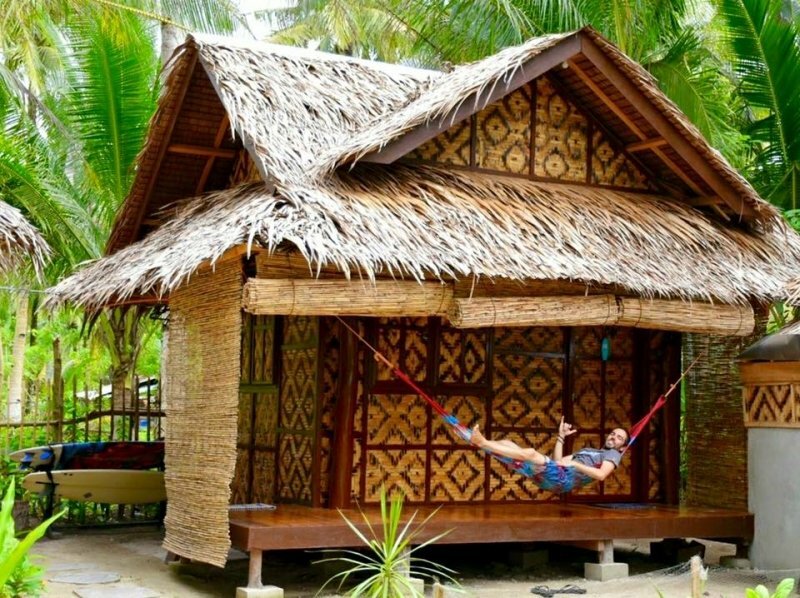 As the name suggests, KUBO Siargao Homestay celebrates Filipino ingenuity and hospitality with the traditional houses called “Bahay Kubo” (Nipa Hut). You will know how it feels like to sleep the Filipino way! All rooms are equipped with a “duyan” (hammock) and guests may opt to sleep on the wooden-tiled floor using a “banig” (sleeping mat). If you want to experience how it was to live in the Philippines during the Spanish era, Vigan might be the best place to visit. 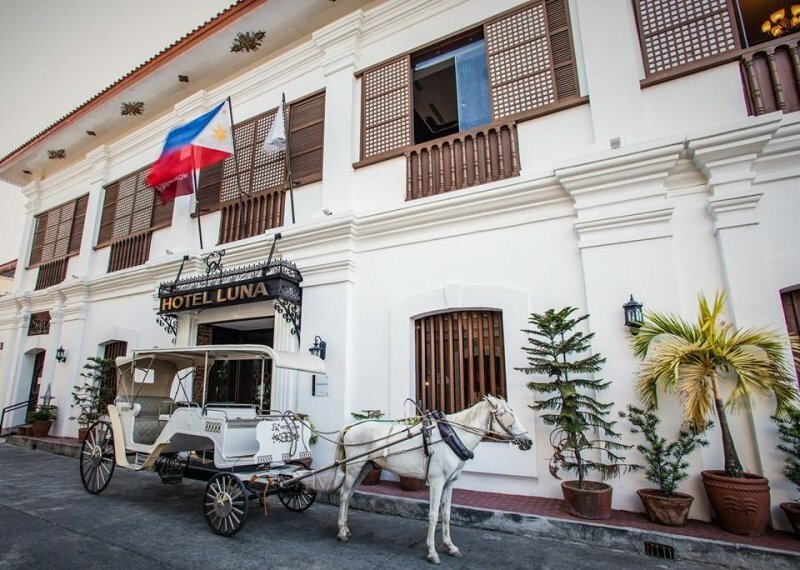 And where better to stay in Vigan than a hotel that has preserved the colonial feels? Hotel Luna offers its guests a chance to relive the 300 years of Spanish influence in the country. Be sure to take a calesa ride to complete the experience! 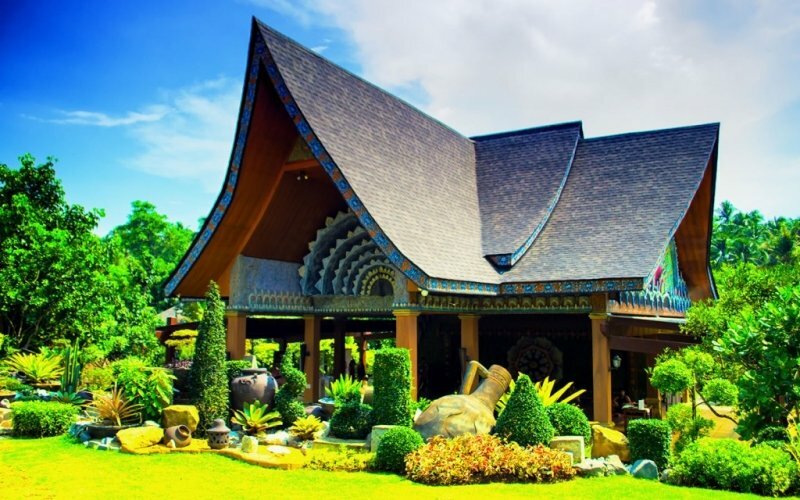 Originally started as a family private resort, the Cintai Corito’s Garden in Batangas opened its doors to the public after the loss of their mother. Appropriately named “Cintai” which means love in Bahasa, the family dedicated the Indonesian-themed resort to their undying love for their mom. Guests will be able to enjoy the temple vibes that is uniquely Southeast Asian. 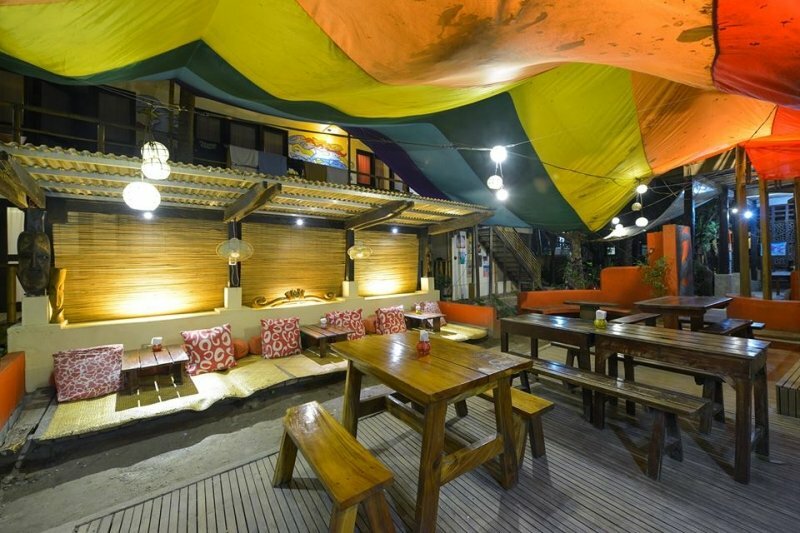 Besides its very laidback atmosphere and the cosy ambience, Lazy Dog Boracay is probably the only hotel in the Philippines that openly celebrates LGBT Pride. A huge pride flag spans across the hotel’s restaurant area while a smaller one unfurls within the chill area. The hotel also hangs several lazy dog images around the hotel to remind its guests to keep calm and enjoy life. Have you ever wondered how it feels like to live in Switzerland? Wonder no more! You don’t have to travel all the way to Europe just to experience the Swiss way of living. 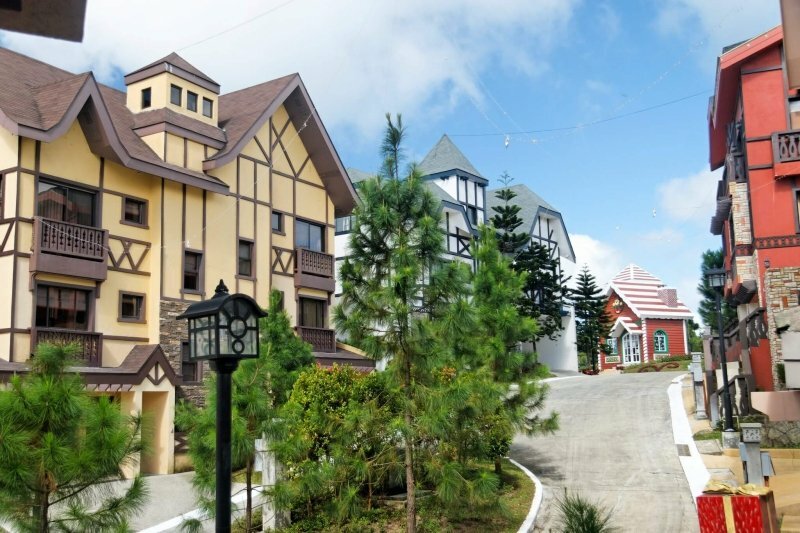 The Crosswinds Resort Suites’ Swiss-themed accommodations paired with the Tagaytay cool breeze, will really make you feel that you are in another country! All you need now is a Swiss cheese and hot cocoa. 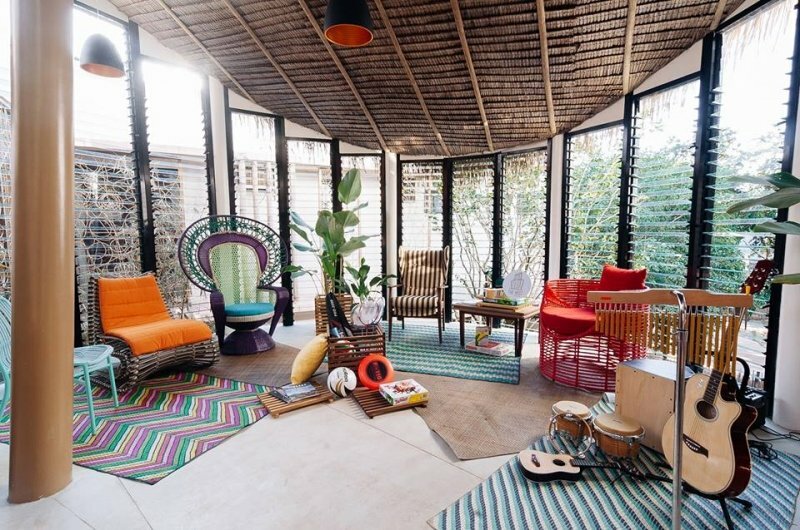 The Spin Hostel in El Nido exudes a contemporary vibe that is tailor-fitted to the interests of the Millennials! The hostel is not only unique because of its cosy interiors but it also offers its guests a sense of community and family with its activities lined-up for every modern traveller. These include Jenga nights, morning hikes, and jamming at the Deck. 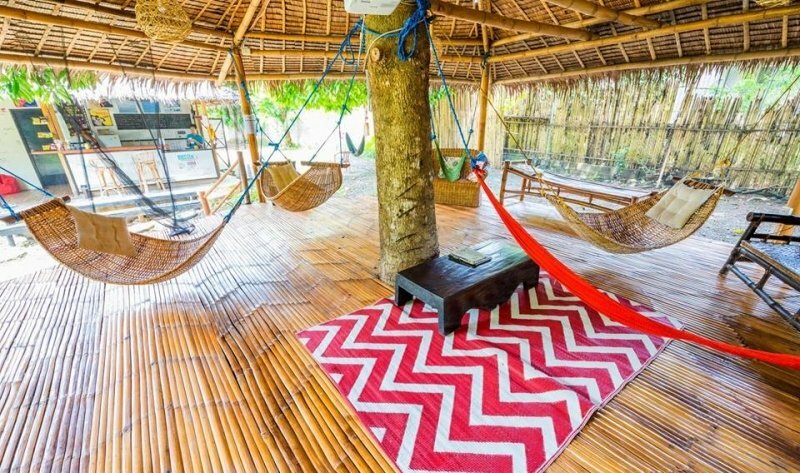 Aptly named, the Bamboo Hostel in Palawan is made up of… You guessed it right -- bamboos! 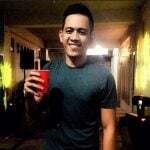 The hostel offers a refreshing, relaxed vibes for its patrons who seek for accommodations with native feels. They offer several room options which include a gazebo with mattresses on the floor covered with “kulambo” (mosquito nets) and a resting area with several hammocks perfect for an afternoon siesta. Heavily damaged during Typhoon Yolanda, the Yellow Doors Hostel has transformed itself as a top choice for accommodations in Tacloban. Combining the cosiness of a coffee shop and the rustic ambience of industrial buildings, the hostel offers a unique experience and an Instagram-worthy environment for its guests. The hostel also treats its guests to a long list of artistic and cultural activities. Choosing your hotel accommodation should be something that you should take seriously. After all, if you’re paying for it, might as well settle for something unique. With this list, you can never go wrong. Need more recommendations? Check out TripZillaSTAYS for our top picks of hotels and resorts in the Philippines.